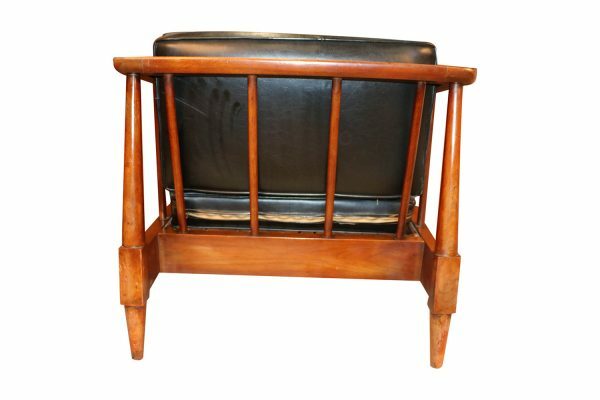 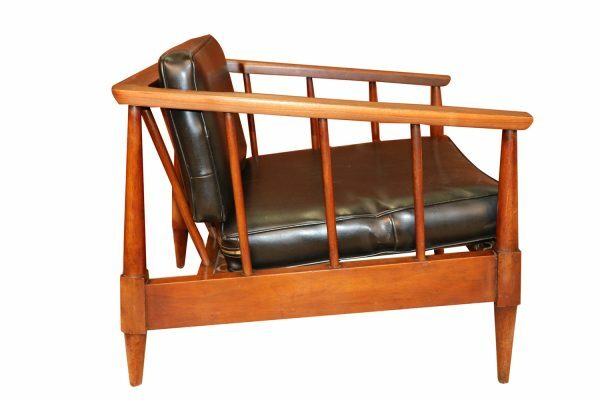 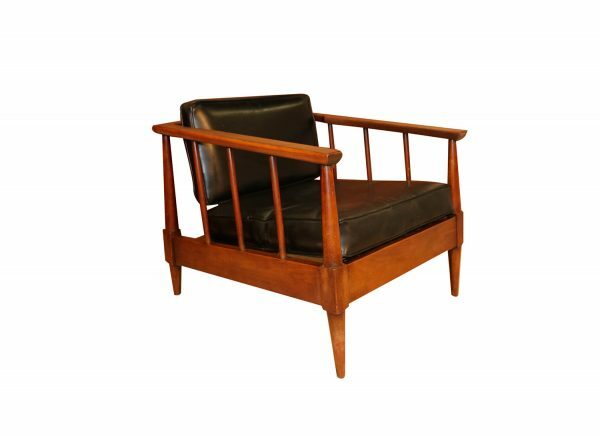 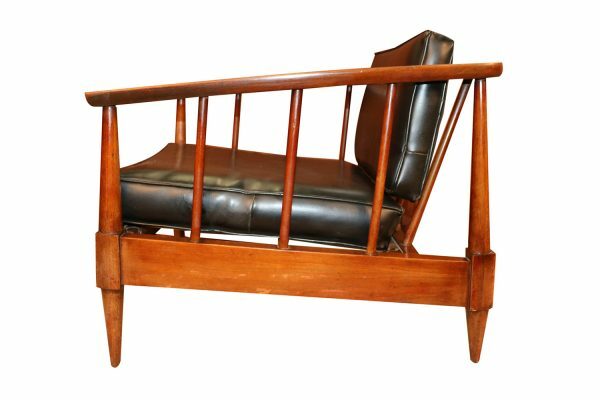 A beautiful mid-century modern lounge chair, featuring a gorgeous, sculptural design, elegant lines, and well-built constructed. 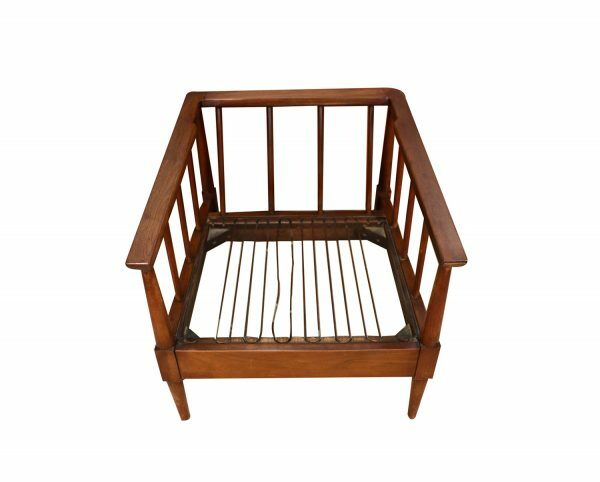 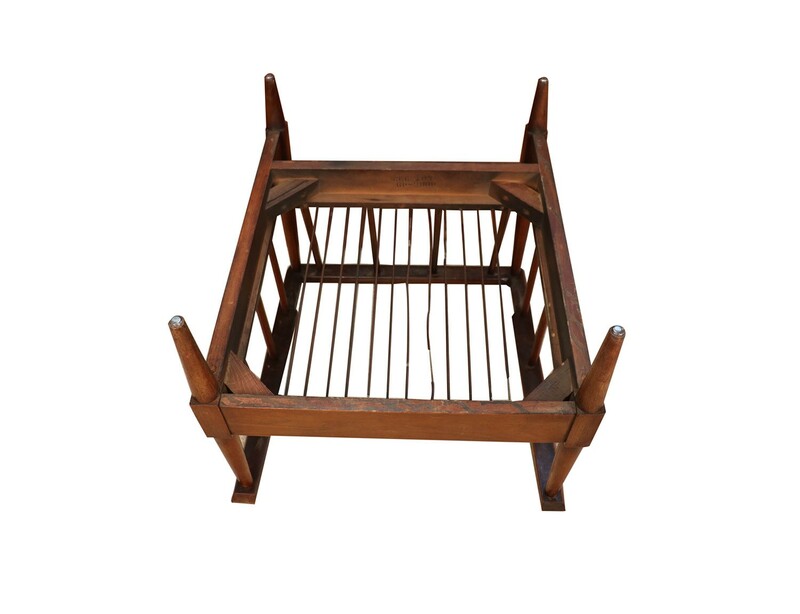 This time capsule quality walnut wood frame with fabulous exposed joinery offers the perfect design allowing lumbar support and comfort with sloped incline spindles. 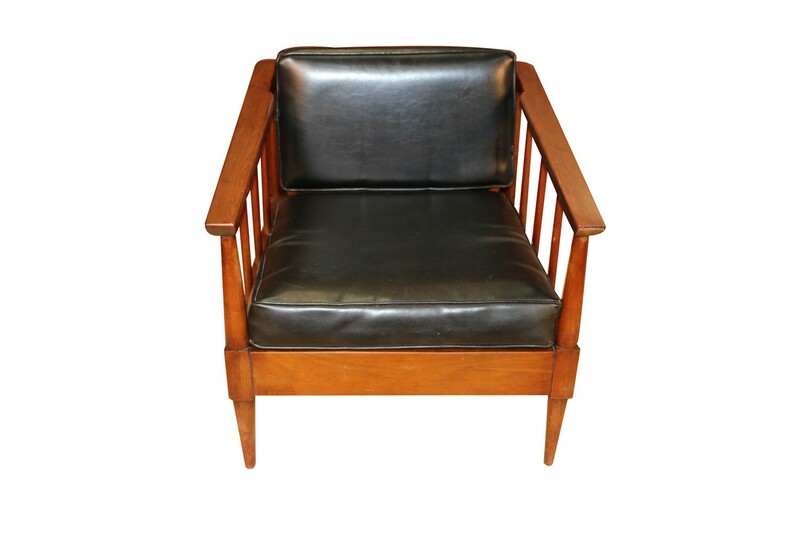 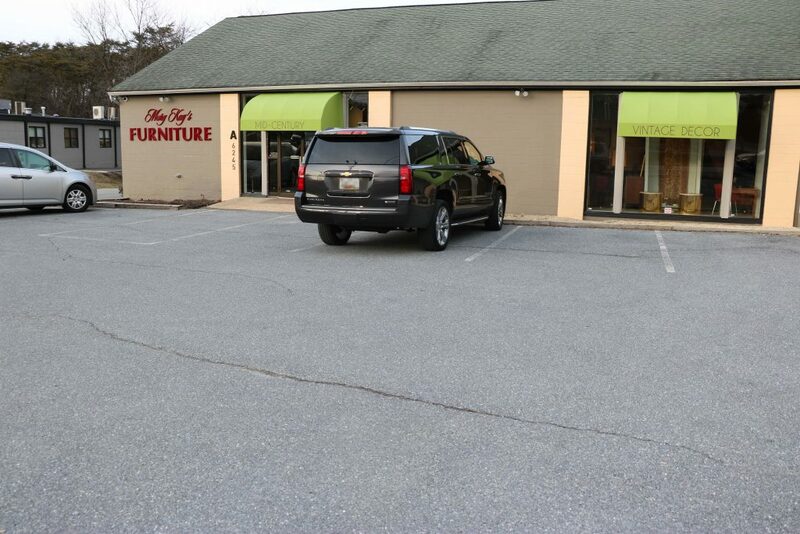 Outfitted in black vinyl upholstery with support straps beneath the chair. Loads of design details such as the stunning profile. 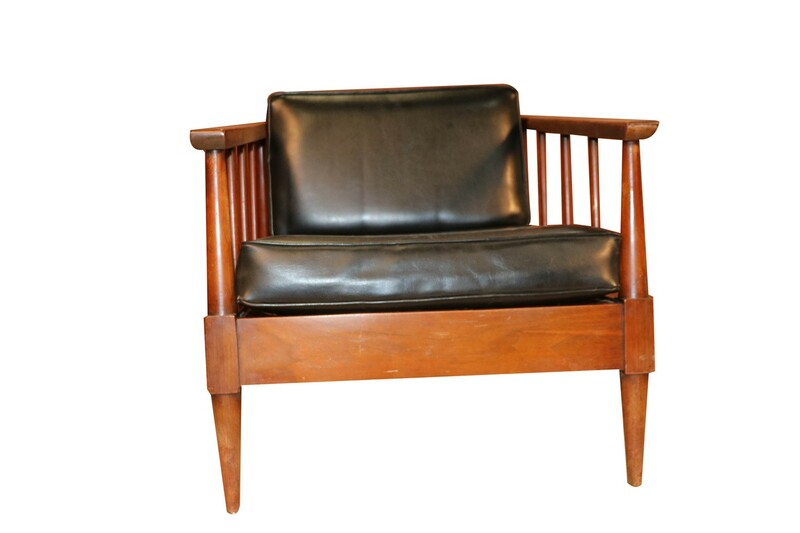 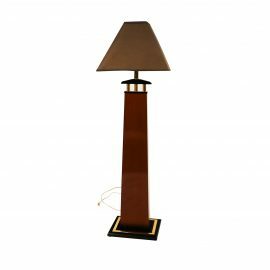 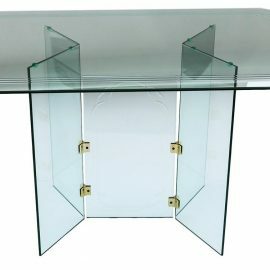 Equally striking from all angles and would make a great addition to any Mid-Century interior. Condition Report: Good original condition throughout with only minor wear/scuffs. Original upholstery is in good condition no rips or tears, a few missing straps beneath the chair. 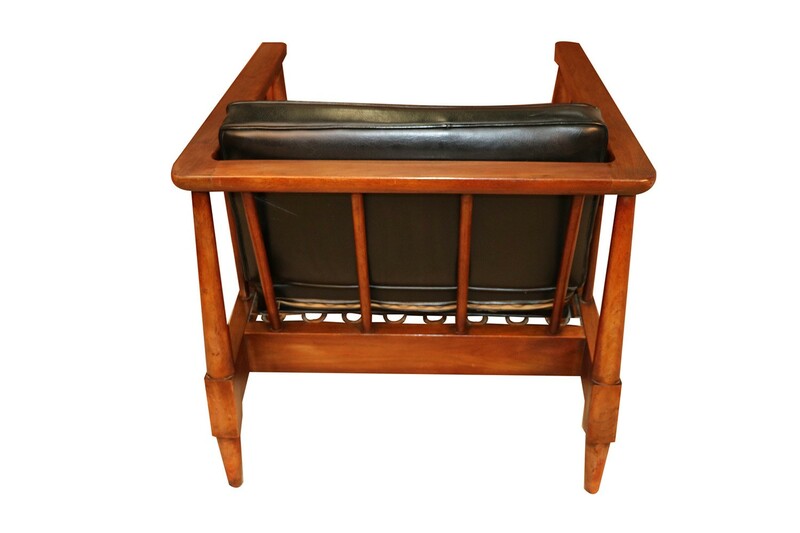 Comfortable and very sturdy. 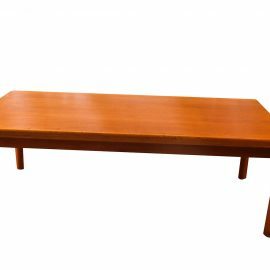 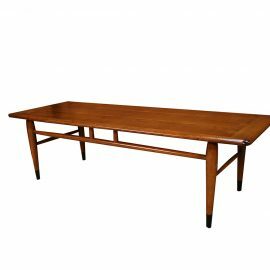 Mid-Century Modern coffee table in walnut veneered plywood and solid oak made in Altavista, VA by Lane Furniture manufacturer.